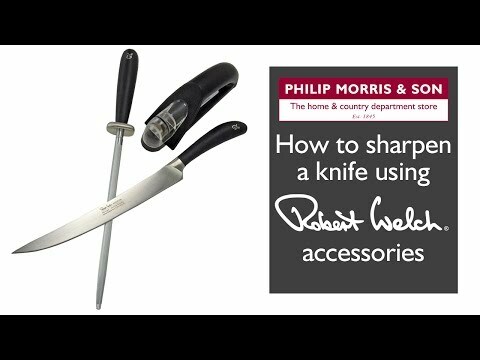 This extra large cooks knife from Robert Welch is a great all-purpose knife from the multi-award winning Signature collection. Its curved blade allows a two-step 'chop and rock' action which is ideal for harder vegetables, herbs, nuts and more. It is made from a single piece of fully forged stainless steel and features an DuPont™ ergonomic handle for superb balance and comfort.